Looking to make big money with a two-year degree? Check out these careers where your associate degree can help you earn as much as six figures. Make money with an associate degree job. Think you need at least a bachelor’s degree to land a high-paying job that you can turn into a rewarding career? Think again. An associate degree is just as—and in some cases, even more—valuable. With just a few years of education (the typical associate degree is two), you can find yourself well-equipped to make a higher-than-average salary doing something you love. Using data from the Bureau of Labor Statistics, Monster identified the top 10 highest-paying jobs that require an associate degree. Most of these jobs fall in the health care and tech sectors—two industries that are seeing incredible job growth right now. And the pay is pretty great, too. As an air traffic controller, the top job on our list, you can expect to earn a six-figure salary, but even still, the average salary for all associate degree jobs listed below sits just over $76K. Not too shabby of a return on your investment of two years of schooling. Take a look at the full list below—ranked by salary—to see if getting an associate degree is worth it. What you’d do: Air traffic controllers (ATCs) survey the sky—from airport control towers and routing centers—ensuring that planes are able to take off and land safely. As an ATC, you’ll be responsible for communicating with pilots about things like weather conditions and runway statuses. All clear! What you’d need: Along with an associate degree and mandated training from the Federal Aviation Administration (FAA) academy, air traffic controllers need to pass medical and background checks. What you’d do: Often part of an oncology team, radiation therapists administer radiation treatments to cancer patients. Depending on their specialty, they might also perform X-rays, MRIs, sonograms, and other imaging techniques. 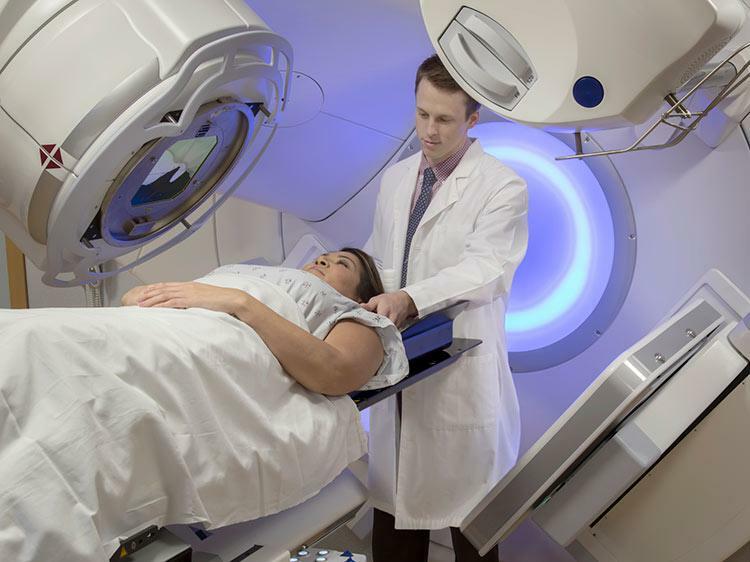 What you’d need: Radiation therapists can obtain an associate degree and license from one of the programs in the American Registry of Radiologic Technologists. Check out this sample resume for a radiologic technician. Find radiation therapist jobs on Monster. What you’d do: Nuclear technicians keep power plants safe by educating their co-workers (such as nuclear physicists) and overseeing equipment maintenance (such as nuclear cooling towers). They also perform tests to monitor radiation and make sure site workers are following standard safety procedures. What you’d need: An associate degree in a related field like nuclear science is required. Find nuclear technician jobs on Monster. What you’d do: Nuclear medicine technologists prepare and administer radiopharmaceuticals (drugs that give off radiation) to help physicians diagnose patients. They care for patients by explaining what the drugs are doing, operating imaging technology, and always following strict safety procedures. What you’d need: An associate degree in nuclear medicine from one of the programs the Joint Review Committee on Educational Programs in Nuclear Medicine Technology accredits is required. Find nuclear medicine technologist jobs on Monster. What you’d do: If you’ve ever been to the dentist, you probably have a good idea what dental hygienists do: Working alongside dentists, they help patients maintain healthy mouths. This includes things like cleaning teeth and administering preventative procedures like X-rays and fluoride treatments. What you’d need: Dental hygienists must obtain an associate degree in dental hygiene. Check out this sample cover letter for a dental hygienist. Find dental hygienist jobs on Monster. What you’d do: To put it simply, web developers design and create websites. Their responsibilities are twofold: the look of the site and the site’s technical aspects, including performance (website speed) and capacity (how much traffic the site can handle). Sometimes, web developers even create content for the site. What you’d need: An associate degree in web design is most common. Check out this sample resume and cover letter for a web developer. Find web developer jobs on Monster. What you’d do: Aerospace engineers and operations technicians are responsible for controlling and preserving the equipment used to maintain planes and other aircraft. They collect data and perform tests on aircraft to make sure they are safe to fly. What you’d need: Associate degrees in engineering tech and robotics are common. Find aerospace engineering and operations technician jobs on Monster. What you’d do: Diagnostic medical sonographers operate imaging technology on patients in order to produce images (sonograms or ultrasounds) to help physicians diagnose diseases. What you’d need: An associate degree in cardiovascular or vascular technology is required. Employers typically prefer to hire applicants who are certified in sonography (accreditation can be obtained through organizations like the American Registry for Diagnostic Medical Sonographers, Cardiovascular Credentialing International, or American Registry of Radiologic Technologists). Find diagnostic medical sonographer jobs on Monster. What you’d do: Electrical and electronics engineering technicians assist engineers in designing and developing all types of equipment—communications, navigational, medical monitoring—and computers. They often work in product evaluation and testing, where they adjust, test, and repair equipment. Additionally, workers are involved in the manufacture and deployment of the equipment. What you’d need: An associate degree in electrical or electronics engineering technology is standard. Find electrical and electronics engineering technician jobs on Monster. What you’d do: Anyone who has a fear of flying can be thankful for aircraft and avionics equipment mechanics and technicians. It’s their duty to make sure aircraft are up to snuff by repairing and performing scheduled maintenance. Ready for takeoff! What you’d need: In addition to an associate degree that focuses on aviation flight instruments and computer repair, you’ll need to get certified by the Federal Aviation Administration (FAA). Find aircraft and avionics equipment mechanic and technician jobs on Monster. Find all associate degree jobs on Monster. We know it can be a hustle to find a job that doesn't require four years of college. But your associate degree can take you plenty far in your career, as this list of jobs proves. Could you use some help finding the right job for you? Join Monster for free today. As a member, you can sign up for job alerts to be sent directly to your inbox. Additionally, you can upload up to five different versions of your resume—each tailored to different types of jobs you're interested in. Thousands of employers search Monster every day, looking for qualified workers just like you. Don't let your talents go overlooked.